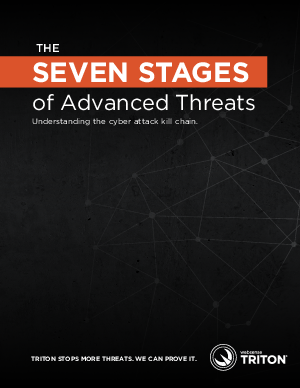 Advanced threats occur in “kill chains” of up to seven stages. Not all threats need to use every stage, giving cybercriminals hundreds or even thousands of ways to create and execute data-stealing attacks. The term “kill chain” refers to the ability to stop an attack at any of these discrete stages — if the right defenses are deployed. Download this paper to read about the seven stages of advanced threats and how you can best protect your business.